It is fantastic two-color kits that allow you to create a truly original marble effect.The Nail Art Kit Pupa allow you to decorate your nails quickly and easily. In each pack there is one enamel brilliant (article based) to be used as a colored base coat and a top decoration (Art top) to be passed after the application of the first. 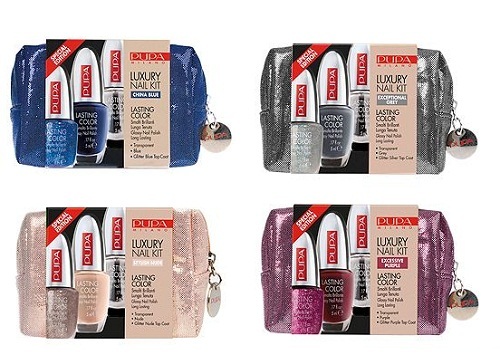 With two simple steps you can get a unique effect on each nail, immediate and spectacular. 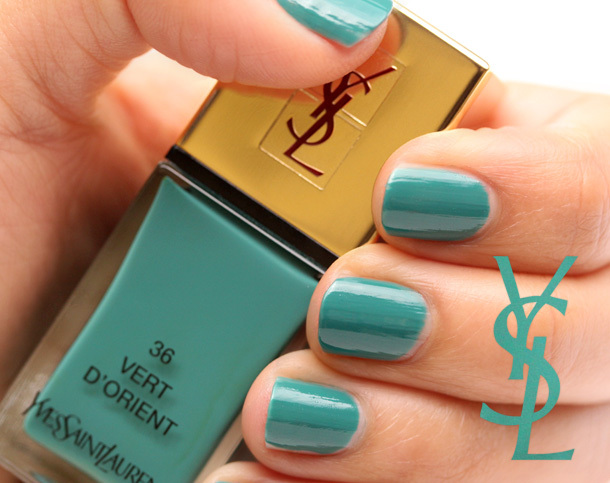 Keep in mind that the top coat can be used on each enamel Lasting Color Pupa. So the color combinations can be many. 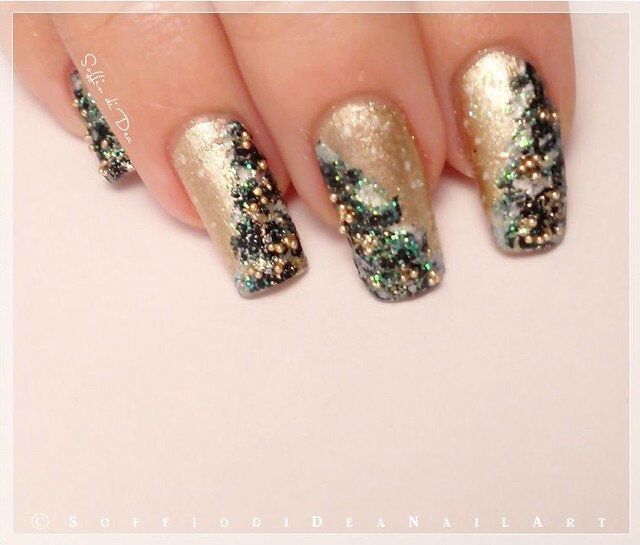 Last winter Pupa has proposed various Nail Art Kit, colors: Silver & Black, Gold & Rouge noir, White & Purple, Silver & Blue and Gold & Green, read our article to learn more. 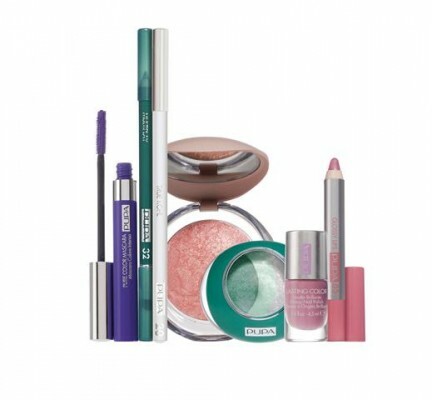 For spring 2011, Pupa has created six kits in bright colors and gaudy that bring so much joy: White & Red Coral, White & Pink, White & Fuchsia, White and Purple, Turquoise and Black & White & Blue. The formula of the nail polish Art Base is characterized by a very high percentage of pigments for intense optical white result and immediately covering, designed to make it stand up to the combination with the Art Top. How do you create the marble effect? The formula of the Art Top contains a high amount of volatile ingredients which, once applied to the nail, tend to evaporate in a few seconds by “withdraw” the color form so that the random decorations on the nail. 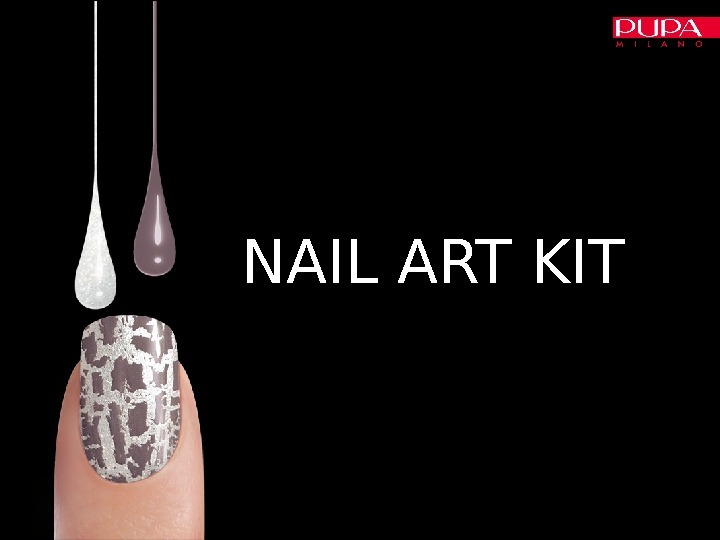 The enamel nail art kit, like all products Pupa, are created in accordance with applicable laws cosmetic in Europe and in Italy, they do not contain toluene, formaldehyde, DBP (dibutyl phthalate) and Camphor. How Do You Use? 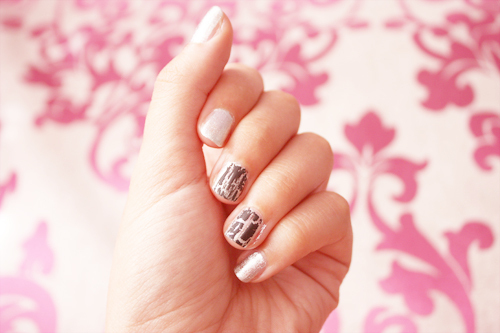 Apply Nail Art Kit of Pupa is quite simple. Before stretching the glaze Art Base in one step and allowed to dry for 4 minutes. 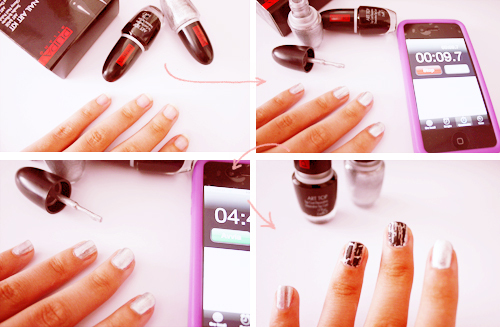 Then you apply the nail polish Top Art in a single step without crossing. After a few moments you will see create the marble effect. 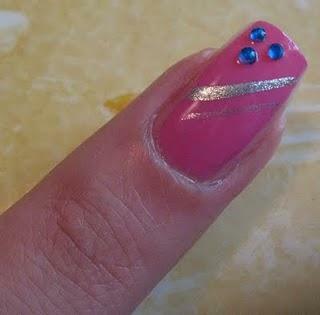 For brilliant nails can complete the task by passing the Fixer Brilliant Nail polish Pupa. If you have any doubt or want some advice to really have beautiful nails, watch the nail art tutorial video at Sourcemakeup. 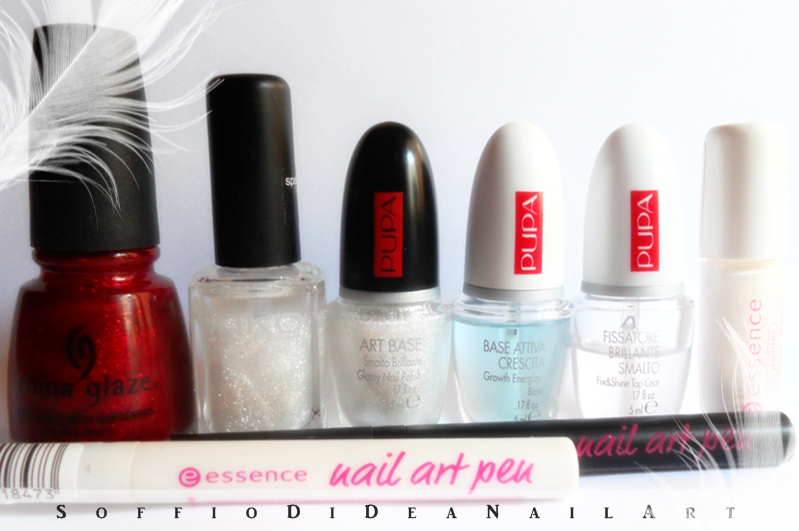 The new Nail art kit of Pupa for spring 2011 are already on sale at the price of 11,90 Euro.